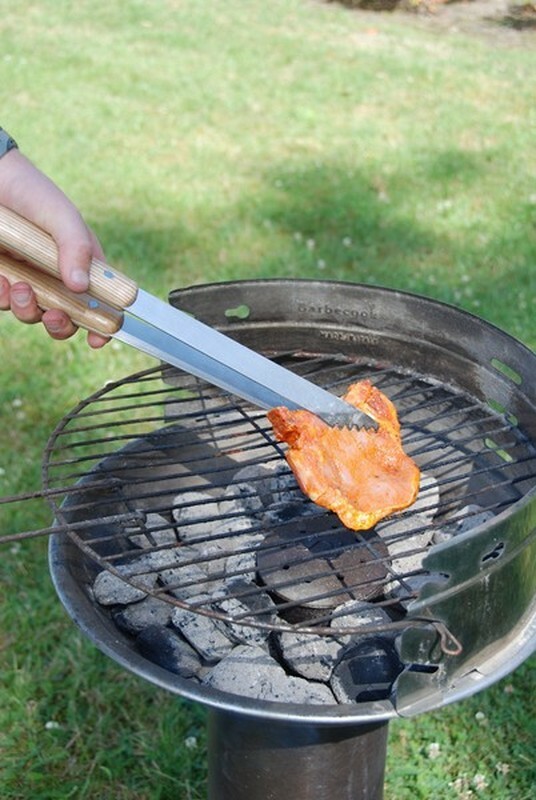 Where do you leave the BBQ tools when you have finished? The four piece stainless steel tool set with European ash handles consists of grill tongs, grill fork, spatula with bottle opener and BBQ brush . They can be stored neatly in the folding bag. 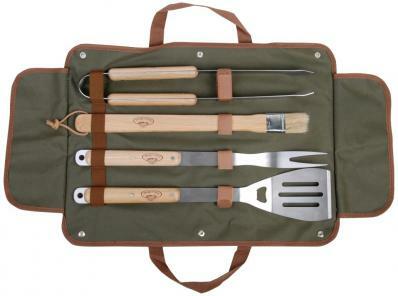 Set consists of storage bag and 4-piece stainless steel tool set.